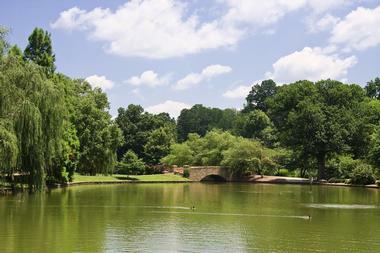 Families will find that there is never a dull moment when you visit Charlotte with kids. 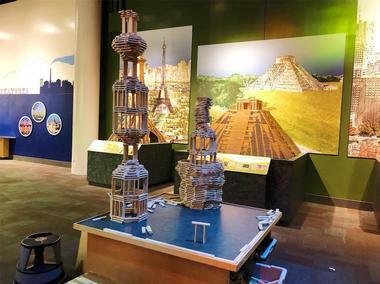 The city and surrounding area has a host of interesting, child-friendly attractions and activities, including museums, working farms, outdoor adventure parks, and nature/animal centers. 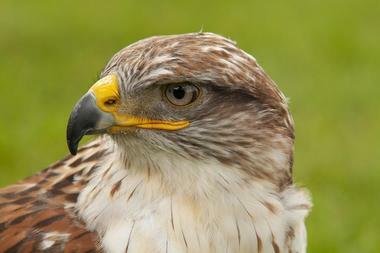 Imagine giving your children the opportunity to learn all about the fascinating world of raptors. At the Carolina Raptor Center children can experience close encounters of the raptor kind as they follow the Raptor Trail to meet and greet a variety of impressive falcons, eagles, vultures and hawks. Your children will have fun observing the birds at close range and not even realize how much they are learning about raptors and the important part they play in the wilds. The center hosts several experiences including eagle and owl encounters and Summer Flight Shows and is an ideal venue for children’s birthday parties –kids will love their popular Raptor Riot Birthday Party. At the Discovery Place Museum you can stimulate your child’s imagination with a wide variety of fascinating and educational interactive science exhibits. The museum is ideal for a great family day out and children will have the time of their lives enjoying the various exhibitions which include World Alive (complete with live reptiles), the Bug Lab (featuring Orchid Mantis, jewel wasps and much more) and Being Me (all about the human body). In addition there is plenty of time to play and construct at Project Build and Kidscience (for the little visitors). In addition there are amazing shows at the IMAX theatre, live chemistry shows and much more. 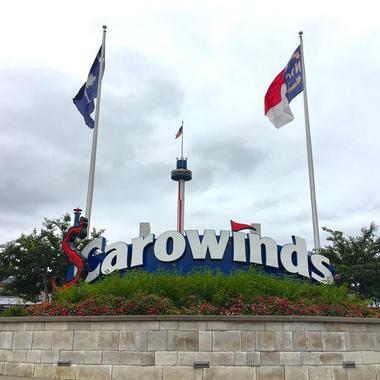 For a day of limitless family fun you can take the children to Carowinds amusement park. The park has thrilling rides and attractions for all ages and will definitely be a firm family favorite. Carowinds covers an enormous area of over 400 acres and includes one of the country’s highest and fastest roller coasters, the Fury 325 – try it if you dare. Although many of the rides are only suitable for older children there are several family rides and a special area for small children to have fun. If you visit during the summer everyone can have fun at the enormous Carolina Harbor Waterpark which has exciting slides as well as a large kiddies’ play area. When you bring the family to visit the historic Latta Plantation they will see North Carolina history coming to life as they make their way around the cotton plantation. 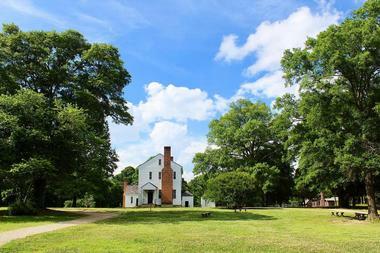 Families can see what life was like for the slaves and planters as you visit the eleven farm outbuildings (which include a restored slave house), on a self-guided tour. You can join in a guided tour of the plantation home which has been carefully restored to accurately reflect living conditions for the settler family around 1800 to 1865. After your history lesson you can enjoy walking one of the nature trails or rent a canoe or kayak to explore the lake. Covering nearly 400 acres along the banks of Lake Wylie, the David Stowe Botanical Garden is a spectacular tribute to nature and beauty. Here the entire family can enjoy a memorable day out admiring nature in all its glory. Even the youngest visitors can enjoy learning about nature at one of the garden’s special children’s programs which are aimed at children between two and five years of age. 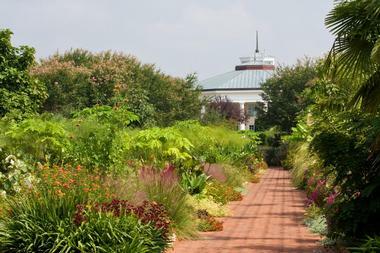 Some of the highlights of the garden include the Orchid Conservatory, the Kimbrell Children’s Garden (Lost Hollow) and the colorful Canal Garden. In November and December the garden is festively dressed up in thousands of lights and hosts a Fairy Festival for the children and Beer Garden for the adults. ImaginOn (the Joe and Joan Martin Center) is located in the heart of Charlotte’s culture and art district where it offers a unique space for young people to learn about art and culture. The center includes an enormous children’s library, two remarkable theatres, class rooms, a production studio and an exhibition space. The Spangler Library for Children caters for your children from birth to fifth grade, with a special baby and toddler area and hands-on activities for all ages. If you have teenagers in the family you can introduce them to The Loft and Studio I, while pre-teen children (seven to twelve) can have hours of fun in The Block. The James K. Polk Historic Site is located just a few miles from Charlotte where it commemorates the life and boyhood of America’s 11th president. It is an interesting site to visit with children who will come away from the site with a better understanding of what daily life was like in the 1800’s. You can join a guided tour of the site to see a reconstructed log house (and separate kitchen), a barn and a carefully tended kitchen garden which have been carefully furnished with common household items dating back to the time when the late president lived on the estate. Once you have toured the house you can take a walk along the nature trail and enjoy a picnic in the shaded picnic area. The entire family will love spending time at SEA LIFE Charlotte where children can see a vast assortment of the most amazing sea creatures in a variety of marine habitats. The aquarium hosts talks and feedings throughout the day so be sure to check times on their website to make sure your children can share the excitement. For most children the highlight of their visit will be the Interactive Touchpool Experience where they get to touch live crabs, urchins and sea stars. 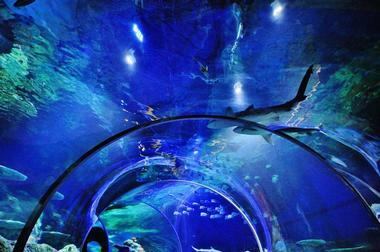 Other exciting activities include walking through the under-water tunnel as you watch sharks, shoals and even turtles swim overhead. Families get special rates on Toddler Tuesday. 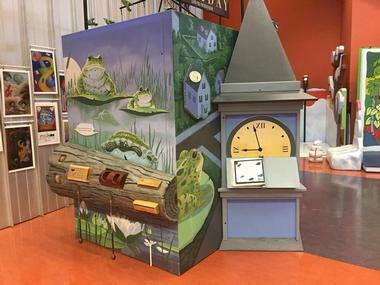 If you have creative teens in your family you should introduce them to the Idea Box at the Charlotte-Mecklenburg Library, where young adults will find all the equipment they need to make just about whatever they can dream up. Idea Box is a unique place for talented young minds to get together and complete projects. The maker-space has a variety of essential tools including 3D printers, vinyl and laser cutters, sewing and knitting machines and various other tools needed to produce inspiring creations. You can also use a variety of tablets and computers which may not be available at home or at school. Younger children can attend Story Time and several other educational sessions at the library. You can set your child’s imagination free when you enroll them in one of the many creative classes offered by the Children’s Theatre of Charlotte. There are classes for all ages starting with the Side-by-Side class for two and three-year olds, which helps these very young children to learn social skills and build their confidence. As children get older they will graduate to My Spotlight and Acting Adventure classes, followed by Shooting Stars and Young Explorer’s workshops. 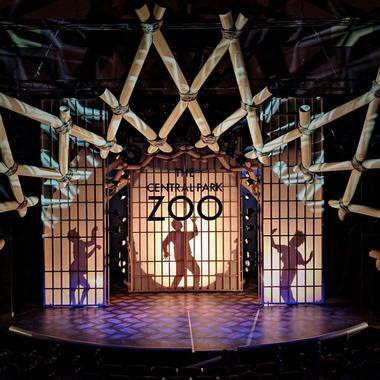 If your child would prefer to watch some theatre before joining in you can bring them to see one of the delightful shows at the McColl Family Theatre or the Wells Fargo Playhouse. 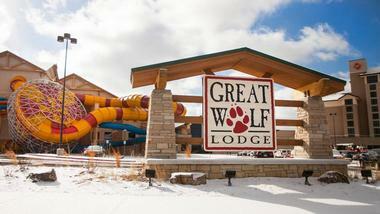 For a fun day out that everyone in the family will enjoy you need look no further than Great Wolf Lodge. The residential lodge and entertainment complex offers both an indoor water park suitable for all ages, coupled with tons of dry-land activities to keep kids of all ages busy for hours. You can expect to find 11 slides and four indoor pools where the water is kept at a comfortable temperature of 84 degrees, making this a year-round destination. Dry-land attractions and activities include a mini bowling alley, the Northern Lights Games Arcade, mini-golf, an XD theater and a ropes course. Access to the attractions is free for guests staying in the lodge. Charlotte Motor Speedway is a popular attraction for motor racing enthusiasts of all ages, including children. If you are planning to attend one of the NASCAR events at the Speedway you can make the whole experience even more exciting for the children by bringing along an RV and camping right at the track. 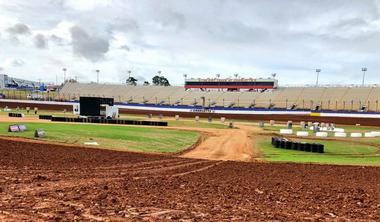 The Speedway offers two different tours which will give you an insider’s view of the pits, winners circle, the track and much more (reduced prices for children 13 and under). They also offer special family race days when all children under 13 get in free with a paying adult. Even if your visit does not coincide with a race meeting at the Charlotte Motor Speedway you can still give your children a taste of race day magic by visiting the NASCAR Hall of Fame. Your family tour of the Hall of Fame will start in the Hi Octane Theater, (which features an enormous 64-foot wide screen and surround sound) where you will watch a movie to give you a great overview of the facility. As you and the children make your way through the Great Hall, Glory Rd, Hall of Honor and Race Week exhibits you will see many displays of famous NASCAR drivers and their amazing vehicles. When you need a break you can pop into the Pit Stop Café to refuel. Children of all ages are fascinated by planes and flying and will love the chance to spend some time at the Carolinas Aviation Museum. The enormous museum is home to an extensive collection of civil, commercial and military aircraft and helicopters and other aviation paraphernalia. 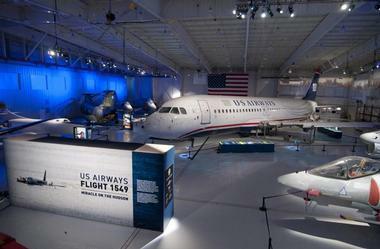 The museum holds summer camps for older children (from 3rd grade up) where they can learn everything about the world of aviation through hands-on experiences. If you have a family birthday coming up you can arrange to hold children’s birthday parties at the museum on Saturdays and Sundays – party packages include a tour, scavenger hunt and craft activities. For a great day of educational family fun you can take your children to meet the residents of Discovery Place, the Charlotte Nature Museum. Here young visitors can meet and touch a variety of animals they would not normally come across at the Live Animal Encounter. Other popular attractions include Insect Alley, Our Big Backyard and Fort Wild, where children are encouraged to use their imagination. After you have visited the live animal shows and fed the alligators you can have some quiet time as you enjoy Story Time. 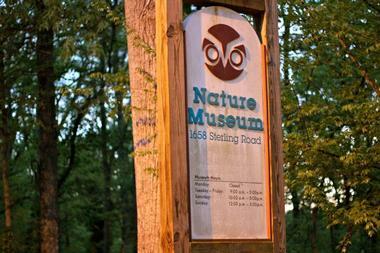 The Naturalists Lab is always popular with children and you can also enjoy the Paw Paw Nature Trail. No family visit to Charlotte would be complete without taking the kids to watch the Charlotte Hornets in action at the Spectrum Center Arena. If you have Hornets fans in the family you may want to consider enrolling them in one of the training programs on offer which include the Hornets Hoops Training for players aged five and up. Both individual and small-group training sessions are available and aspiring Hornets can also attend Spring Break and Summer Camp basket ball clinics. Your child can join the Junior Hornets program which offers coaching and complimentary tickets to home games for participants and their families. 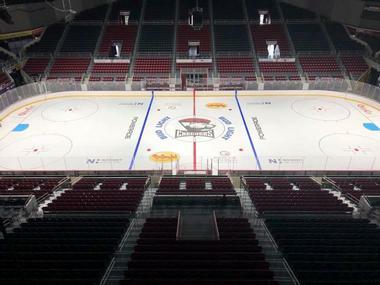 Ice Hockey fans will not want to miss the opportunity to watch the Charlotte Checkers in action at the Bojangles’ Coliseum during their visit to North Carolina. Better yet, set your child on the right course to improve his or her ice hockey skills by enrolling him or her in one of the Learn to Play programs for children aged eight years and younger. If your child shows talent they can move up through a variety of coaching programs until they reach the Mini Checkers U6 and U8 programs. For a very special treat you can arrange for your child to participate in one of several Game Day activities – check the website for details. 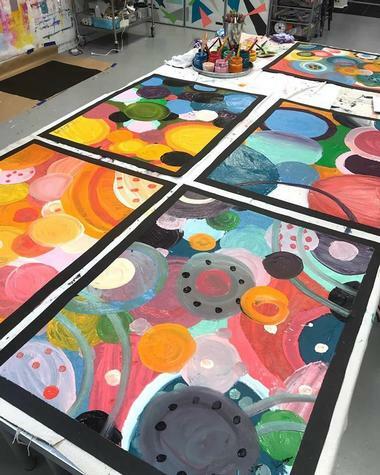 A family visit to the Bechtler Museum of Modern Art could prove to be the first vital step you take to awaken your child’s inherent artistic creativity. The museum offers both audio tours and docent-guided tours which offer a great insight into the amazing collection of art on display. If you are visiting with younger children you should try and schedule your visit for one of the museum’s regular Family Days when special guided tours are arranged especially for younger visitors and children are encouraged to have fun creating their own works of art to take home with them. The museum has a brilliant shop where you can buy a variety of children’s art books and equipment. 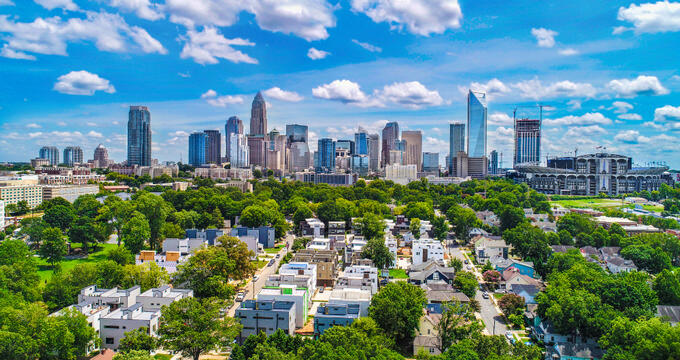 The Schiele Museum of Natural History is one of the most popular family attractions close to Charlotte and should definitely be on your must-do list. Your children will enjoy a day of fun learning activities both indoors and out and parents are also bound to learn a few new facts and figures. You can start your adventure learning about North Carolina’s habitats and terrain, and the large number of animals and plants that live there. Moving further afield you can learn about other North American habitats, wildlife and native populations. Outdoors the fun continues as you explore the Nature Trail, Wildlife Garden, Catawba Indian Village and an 18th Century Backcountry Farm. For over 25 years the Matthews Community Farmer’s Market has been providing not only farm-fresh produce but also a meeting place where the Matthews community can get together and meet the people who produce their food - bringing your children to the market is a great way of teaching them about where their food comes from. Many of the local farmers will be on hand to answer any questions and tell you about their produce. The market holds regular competitions and tastings and children are encouraged to enter competitions to see who can produce the best freshly baked breads, pies and other goodies. You can stock up on home-made preserves and condiments, buy artisanal breads and cheeses and listen to live music. 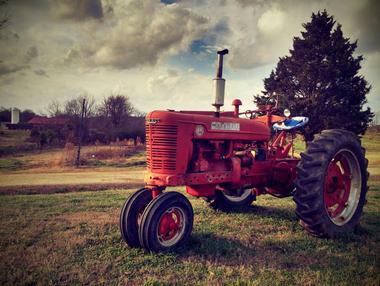 The Hunter Farm is an excellent destination for a day of family fun with your children. Besides learning about life on a farm and meeting some of the farm animals, each season has a different fun event that children will love. If you visit in fall children can enjoy a hay wagon ride, visit the milk barn and petting barn and then have the time of their lives choosing the perfect pumpkin from the large pumpkin patch. In winter Christmas trees take the place of pumpkins and children can visit Santa at the North Pole, make decorations and choose the family tree. In spring everyone can enjoy strawberry picking and in summer the farm offers 4-day summer camps for children aged five and up. Built to honor the veterans of World War II, Freedom Park is an enormous 98-acre green space where children can enjoy running around or playing a wide variety of sports. The park boasts baseball fields and batting cages, 12 tennis courts, soccer fields, basketball and volleyball courts, all of which are heavily utilized on weekends. If you visit during the week there are fewer people and you and your children can enjoy exploring various walking trails and paths, ride bikes and have fun at the two playgrounds. Older kids will enjoy the Play 60 obstacle and training course. You can bring along a picnic or barbecue – there are several BBQ shelters and clean restrooms. If you happen to have girls in your family the American Girl Store is an absolute must-do attraction. The store stocks everything a little girl could desire including dolls (and doll accessories), clothing, books, furniture and even cars. 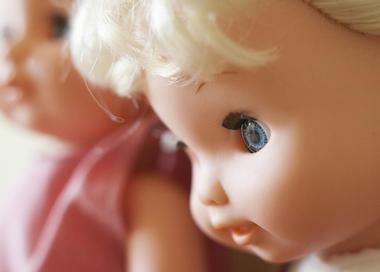 You can even find identical outfits for your little princess and her favorite doll. The store hosts regular girly events such as Doll Hair Salon Spectaculars and Painting Events. If your little girl is about to celebrate her birthday you can book an unforgettable American Girl Store Birthday Party – all you need to bring are the guests and the store will provide everything else including goodie bags for all the guests. Haberdish is a Southern-style kitchen and cocktail bar in Charlotte's NoDa neighborhood, located approximately two miles from the city's Uptown district. 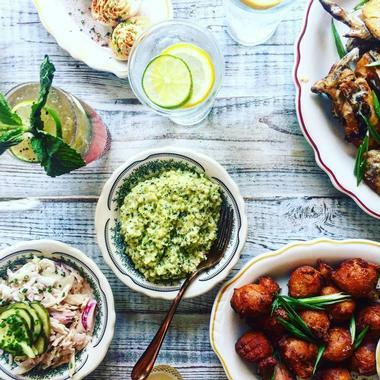 The restaurant, which was opened in 2016 by Jeff Tonidande, pays tribute to the city's textile mill history and serves up Carolina-inspired favorites such as crispy fried or brine-smoked chicken served with Alabama white sauce, cast-iron North Carolina trout, and pork shanks in housemade barbecue sauce. Scrumptious side dishes and shareable appetizers include homestyle favorites such as hushpuppies, cheese straws, sweet potato dumplings, and savory cornbread pudding. Seasonally-crafted apothecary cocktails are also served, along with soda favorites poured directly from the restaurant's 1950s-style soda fountain. 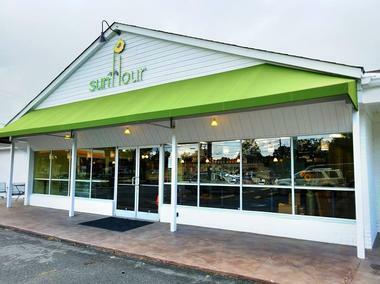 The whole family will love visiting one of Charlotte’s four Sunflower Baking Company outlets which are conveniently dotted around the city. You can get your day off to an amazing start by popping in for breakfast – choose from a mouth-watering variety of pastries, muffins or breakfast sandwiches, washed down with a wonderful cup of tea or coffee (hot chocolate for the kids). When you need a break from exploring or shopping you can rest your feet and satisfy your taste-buds with a mid-morning coffee and cake or a delectable lunch-time sandwich. 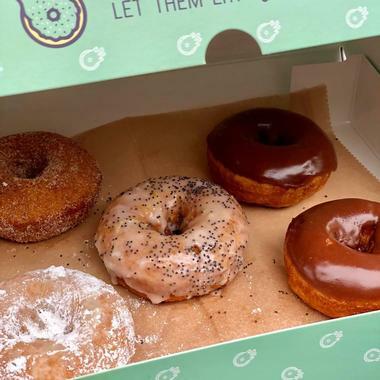 All the delicious cakes, breads and pastries are made in small batches on the premises to ensure you get a fresh, flavorsome treat. There is plenty of family fun to be enjoyed at Strike City Charlotte which boasts 12 bowling lanes and modern state-of-the-art equipment. 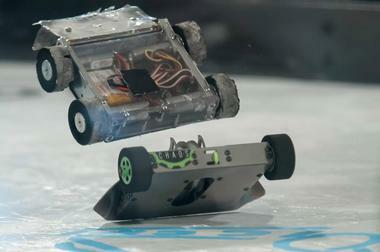 Even younger children can enjoy bowling using special bowling ramps and automated bumper rails. In addition to bowling there is a gaming area where children can play Pac man, air hockey, Skee ball and several other fun games. The venue also boasts dozens of overhead TV’s screening multiple current sporting events. Strike City offers a Birthday Party service for children which includes bowling, balloons and a gift for the birthday boy/girl. After your bowling session you can enjoy a great meal at the on-site restaurant.